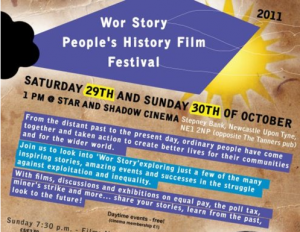 The event was really inspiring with talks and films that documented a snapshot of Newcastle’s radical history. We created a new installation to showcase a selection of the Archive for Change films. We had a great weekend and some brilliant feedback from people who weren’t so familiar with the issues raised in the films.